When I go to the grocery store to shop for bread, I get pretty frustrated with the options. I know I live in a small town, but there are still probably 30 different options of bread, and every single one of them is loaded with junk. Even the whole wheat bread that claims to be “all natural, no preservatives, and healthy” contains over 40 ingredients, and some mighty questionable ones at that. On top of that, many of them contain allergens that are dangerous for my daughter, so I am always hesitant to buy them. But I’ll let you in on a secret… bread is incredibly easy to make. It takes 5 ingredients, about 10 minutes of active work, and another 30 minutes of bake time, and you have hot, fresh bread, ready for the dinner table. The other great thing about baking your own fresh bread is the wonderful fragrance that permeates your home while you bake it. It smells homey, inviting, and warm. I have an easy yeast bread recipe that I want to share today. In a small bowl, combine water and yeast. Allow to sit for 10 minutes. Meanwhile, combine the flour, sugar and salt in a medium bowl. Add in yeast and oil, and mix together. Knead for 5 minutes, adding more flour if necessary, and then cover with a damp towel. Allow to rise until double its size, about 30 minutes. Punch dough down, then transfer to a greased bread loaf pan and allow it to rise, until it has reached the top of the pan. Preheat oven to 400 degrees, and bake in preheated oven for 30 minutes. 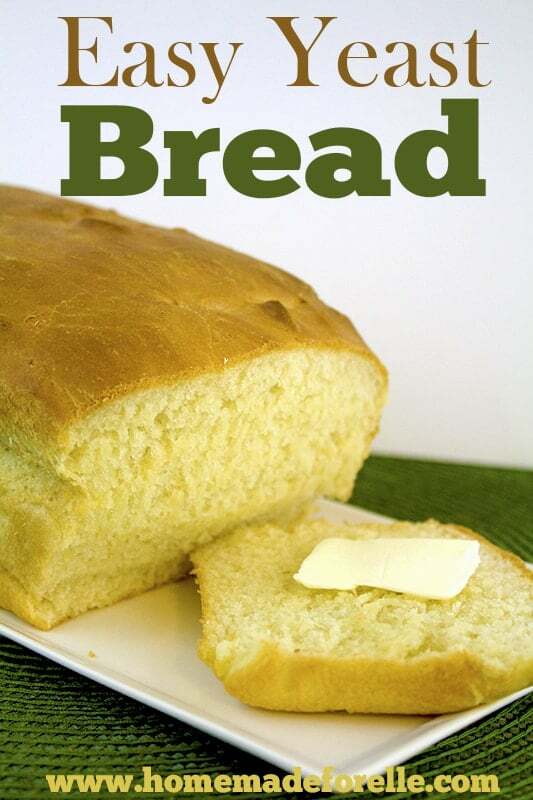 You can bake it as a whole loaf in a bread loaf pan, and slice it for sandwiches, or you can divide them up into balls and make homemade rolls from this easy yeast bread recipe. Here are some more homemade recipes! Do you bake your own bread? 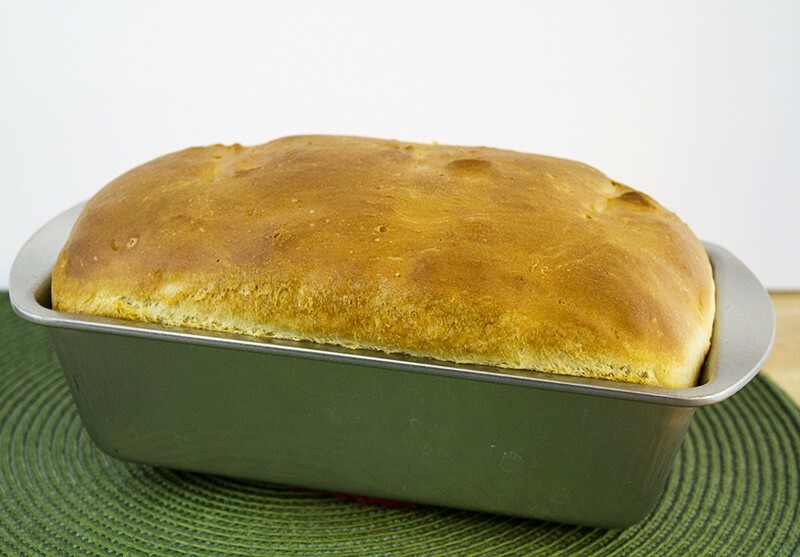 What is your favorite easy yeast bread recipe? *This recipe and many other great ones are linked up at Feeding Big’s In and Out of the Kitchen and Old Fashioned Recipe Exchange! Thank you for this incredible easy recipe! I have a loaf in the oven right now and it smells wonderful! I will be making this a lot! Made it! After punching it down, I made it into cinnamon swirl bread. Delicious & simple. Thanx for posting! Grocery store bread is so full of junk. Thanks for the easy recipe! Thank you for linking to the In and Out of the Kitchen Link Party. Hope to see you next week.